Used in veterinary products and multi-nutrition products, the Cobalt Sulphate offered by us is high in demand. 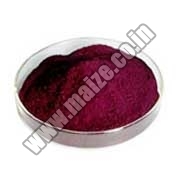 Chemical Cobalt Sulphate is amongst the most important supplement and is utilized in poultry, animal and cattle feed. This Chemical Cobalt Sulphate is obtained at affordable prices. We are counted as one of the renowned Cobalt Sulphate Suppliers from India.